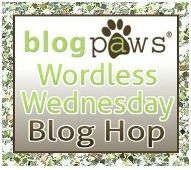 Bringing up Bella: Wordless Wednesday 122 - Hi there. I wanna kiss that nose so badly that I actually contemplated kissing the computer screen. I know, crazy, haha. Love pretty Bella! Ah... the nice cool feeling of snow on your nose. Are you having fun, Bella? well hi back at ya! Are you playing in the snow? It's amazing how snow sticks to doggy noses, isn't it? Well, hello! Love the snowy snooter, do you snow plow sniff like Maggie does? So cute with your snow nose!